A born ‘New Yawker’, Arun is a native New Yorker with a degree in Architecture from New York Institute of Technology. After graduating, Arun started his career in NYC working for architecture companies. He eventually found his way into technology and worked with companies in different industries applying technology to their business requirements. Prior to his current role with Judlau, Arun spent over 11 years with SMBC Leasing and Finance, Inc. In 1997, Arun joined SMBC Leasing and Finance, Inc. and was charged with growing the technology for this new subsidiary of Sumitomo Mitsui Banking Corporation in New York and London. During his tenure, he took part in several mergers and acquisitions. Arun led multiple projects implementing new systems with packaged enterprise applications from Microsoft to Oracle. In 1999, Arun led the effort to get the production computing infrastructure Y2K ready. This included a series of upgrades and replacements to existing systems and processes throughout the company and setting up disaster recovery and business continuity plans. In a heavily regulated global financial environment, he worked across Sumitomo companies to implement systems such as Sarbanes-Oxley and KYC. In early 2006, Arun led an effort to move SMBC’s back-office functions to lower rent space in the NYC metro area and also to consolidate and reduce SMBC’s datacenter footprints. This further expanded his exposure to SMBC’s global leadership teams. In 2010, Arun joined Judlau Contracting Inc. as their new Chief Information Officer. In this role, Arun was in charge of transforming their shared services IT department by improving IT efficiency and productivity by defining support processes and reorganizing to delivery and operations. He has established an IT culture of rapid planning and delivery by migrating applications to the cloud and moving from physical servers to virtual servers thereby reducing overall footprints. Arun has developed internal business intelligence program by connecting multiple databases and delivered dashboards for executive insight into accounting, cost control, quality and safety. During this year, he has documented and mapped business processes and moved Judlau towards an ERP solution to improve processes and quality of information. 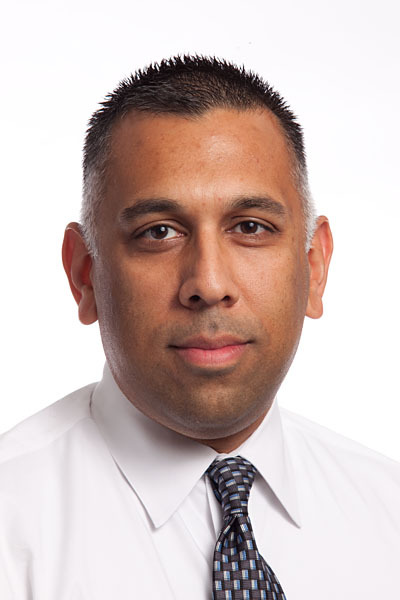 In 2014, Arun joined World Trade Centers Association, Inc. as their Chief Information Officer. In this role, Arun is in charge of digital technology assets and development. Arun participates in several local technology organizations. He is a member of the Technology Executive Networking Group (TENG). He also serves as Chairman for the Peekskill Industrial Development Agency in overseeing new business initiatives in the City of Peekskill. In his spare time, Arun enjoys gardening, movies, baking and spending time with his wife and son. A golf enthusiast, he is working on lowering his handicap as much as possible. As an active blogger, he writes articles about the life of a CIO in “A CIO’s Voice” as well as posting relevant tweets on Twitter.